In a mixing bowl dissolve the yeast into lukewarm milk and then add 1 teaspoon sugar and 150g plain flour and mix. Cover the bowl and place it in a warm place for 20 minutes. Mix in the egg, salt, remaining sugar, cardamom and about 300g plain flour, continue beating until evenly incorporated. Add about 300g plain flour and knead, by hand or if you prefer in bread machine or with KitchenAid using the dough hook. Add the soft butter/margarine and the rest of the flour little at time, to keep the dough soft, continue kneading until you got an elastic dough that comes off the surface you are kneading on, if it’s still sticky you may add some more flour little at time. 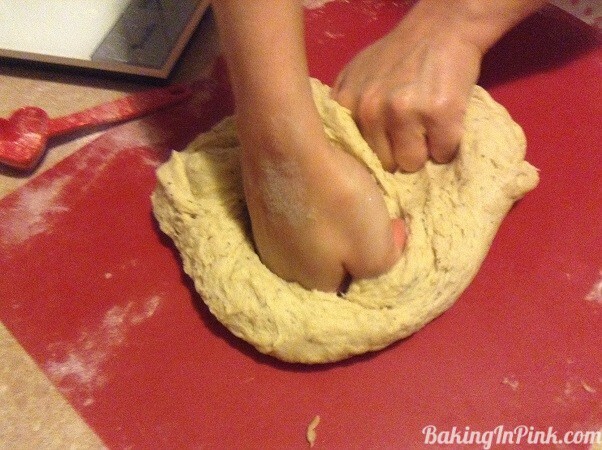 Preheat oven to 225ºC and line two baking sheets with baking paper. 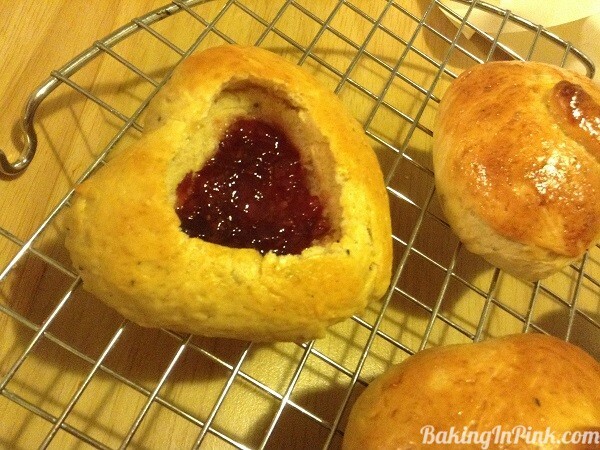 Glaze the heart buns with lightly beaten egg and bake in your preheated oven for 12 minutes until you got nice golden brown color on top. Place the buns on a wire rack and let them cool for about 15 minutes before cutting the top and filling with your choice of jam or almond paste topped with whipped cream lightly flavored with vanilla. Dust with sugar powder and you are done! In Finland the traditional Shrove Bun is topped with almonds whereas powdered sugar is widely used for ones with jam filling. 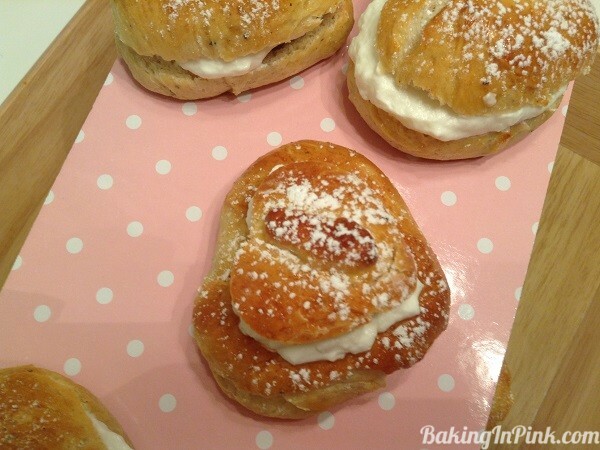 Finnish newspaper Iltalehti had recently a poll where 55,7% of those who answered prefer their Shrove Bun filled with jam and whipped cream, as do I, and the rest 44,3% prefer the almond paste and whipped cream version. 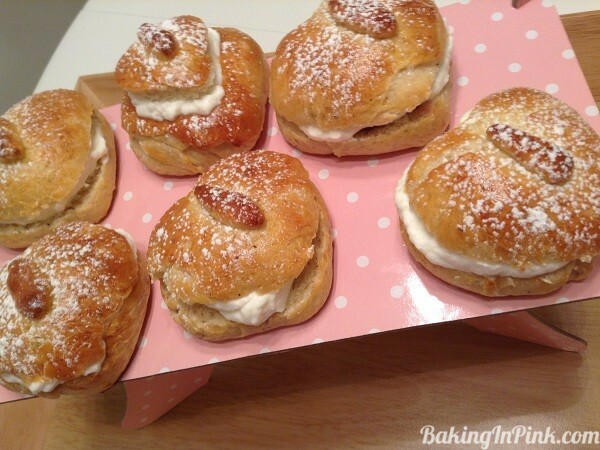 More interesting facts you can read about all the Scandinavian versions and traditions related to Shrove Buns.